Win a Ski Break for Two! HOW? 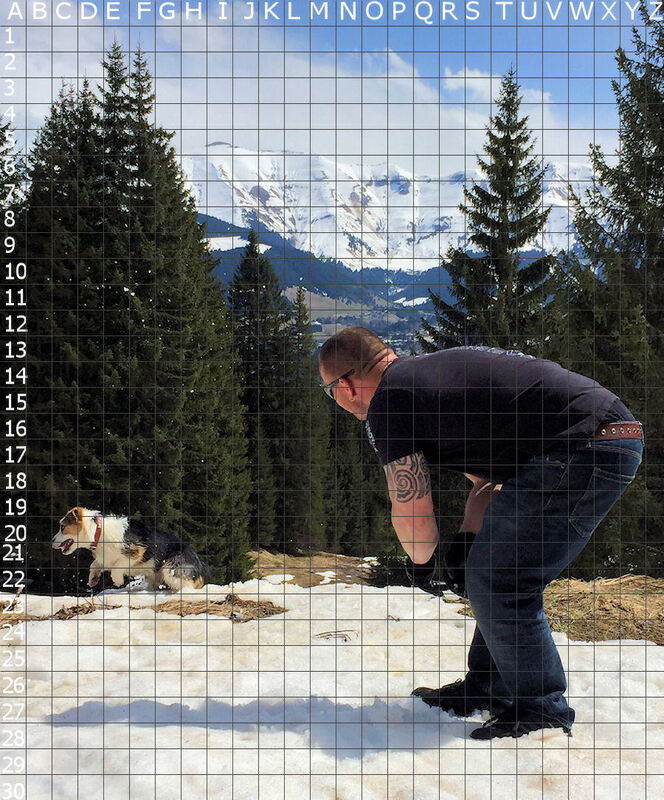 It’s easy to enter, firstly you must like our facebook page then just send us the grid co-ordinates of where you think the snowball is located in the picture below, if there is more than one winner then the names will be put into a hat and a winner randomly picked. Sunday 8th to Wednesday 11th January 2017 or Sunday 5th to Wednesday 8th February 2017. WHERE? You’ll stay in our catered chalet Les Cimes in Megeve, located just a few minutes walk away from the nearest ski lift, designer shops, cosy bars and top class restaurants in one of the finest Alpine resorts in the French Alps. Les Cimes oozes charm and character and with it’s warm, friendly and relaxed atmosphere you’ll just love it! WHAT’S INCLUDED? The prize is for 2 people and includes transfers from Geneva Airport to Megeve, accommodation in our catered chalet Les Cimes, breakfast, afternoon tea and a 4 course evening meal with wine every evening. CLOSING DATE? The competition will finish on October 31st 2016 at midday and the winner will be announced on our Facebook page and by email on November 1st 2016. Please note that Flights to Geneva, ski passes, ski lessons, ski insurance or equipment hire are not Included in the prize. There is no cash alternative and dates are not interchangeable – if you are unable to travel on the specified dates we will allow you to offer your prize to someone that can. 1. The closing date for entries is 12:00 midday on the 31st October 2016. Any entries received after this time will not be counted. 3. If there is more than one winner the names will be put into a hat and a winner picked out at Random, the winner will be contacted by email and announced on the Ski Royale Facebook page on November 1st 2016. 4. The prize is a ski break for two people from Sunday 8th to Wednesday 11th January 2017 or from Sunday 5th to Wednesday 8th February 2017, the dates are non-transferable and there is no cash alternative. 5. The winner will receive 3 nights’ accommodation for two people provided by Ski Royale in a twin or double room at Les Cimes on a catered basis which includes breakfast, afternoon tea, 3 course evening meal with wine plus a cheeseboard and coffee each evening. 6. Return shared transfers from Geneva to Megeve are included. 7. Employees of Ski Royale or their family members or anyone else connected in any way with the competition shall not be permitted to enter the competition. 10. Flights, ski passes, ski equipment, ski insurance and ski lessons are NOT included. 11. In the event that the winner cannot take the prize then the person with the next closest co-ordinates will be notified. 12. Entrants must be over 18 years of age. 13. By entering the competition you agree to be contacted from time to time via email about any special offers from Ski Royale. 15. Ski Royale accepts no responsibility for any damage, loss, liabilities, injuries or disappointment incurred or suffered by you as a result of entering the Prize Draw or accepting the prize. 16. Ski Royale shall not be liable for any failure to comply with its obligations where the failure is caused by something outside its reasonable control. Such circumstances shall include, but not be limited to, weather conditions, industrial dispute, and inevitable accidents. 17. By entering our competition you are agreeing to the terms and conditions as set out above.